DAVID LE/Staff photo. 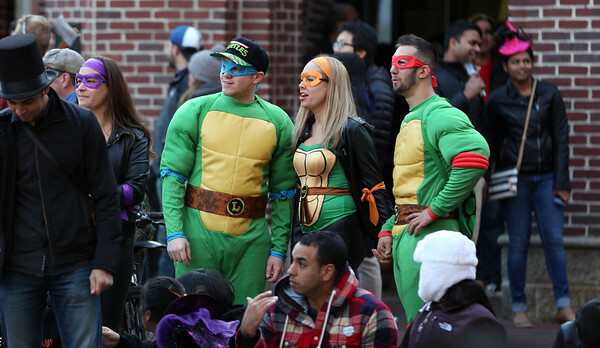 Halloween-goers dressed as Ninja Turtles observe passersby while standing near the fountain on Essex Street early Saturday evening. 10/31/15.